1. Preheat the oven to 375 degrees F. Line an 8 x 4 inch loaf pan with unbleached parchment paper, allowing a 2- to 3-inch overhang on the two 8-inch sides of the pan. 2. 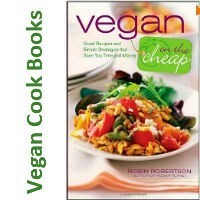 Put the onion, celery, 2 tablespoons water, olive oil (if using), and tamari in a skillet. Cover and cook over medium heat for 5 minutes. Add 1 teaspoon Italian seasoning and 2 tablespoons water. Cover and cook 5 minutes or until the onion is translucent. Cool for 5 minutes. 3. Put the seitan in a high-performance blending appliance and process until coarsely ground. Transfer the seitan to a large bowl. Put the rolled oats, carrots, paprika, garlic powder, remaining 1 tablespoon Italian seasoning, and salt in a large bowl and stir until combined. Add the celery mixture, 3 tablespoons tomato paste, and wheat germ, and stir until combined. Add the spinach and stir gently until combined. 4. Spread 2 tablespoons tomato paste evenly over the parchment paper in the bottom of the prepared loaf pan. Put the seitan mixture on top of the tomato paste layer. Firmly press the seitan mixture into the pan. Fold the excess parchment paper over the top of the loaf and gently press down. This will keep the loaf moist while baking and help the loaf to hold together. Bake the loaf for 30 minutes. Remove the loaf from the oven and peel back the parchment paper that is covering the top of the loaf. Place the loaf back in the oven for 30 minutes. Loosely tent some foil over the loaf and bake for 15 to 20 minutes, or until the loaf is slightly golden in color and almost firm to the touch. Put the pan on a wire rack and let cool for 5 minutes. Turn the loaf onto a serving platter and carefully peel off the parchment paper. 5. Cool for 5 to 15 minutes. Cut the loaf into thick slices, using a serrated bread knife and wiping the knife clean after cutting each slice. If you like, serve alongside your favorite vegan gravy with steamed broccoli and mashed potatoes or twice baked potatoes on the side. 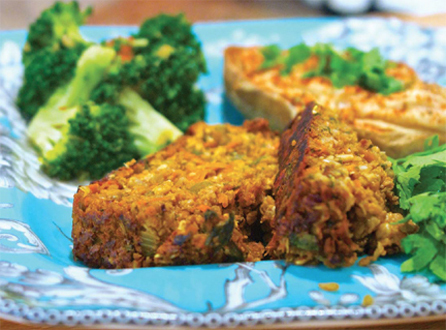 Let us know what you think of this easy vegan recipe: Savory Seitan Loaf!